Do you follow a written 1-page content marketing strategy? It improves your odds of success up to 8 times. Yet 2 out of 3 B2B marketers lack a documented strategy. 3. It aligns your content producers with marketing, sales, and executives. 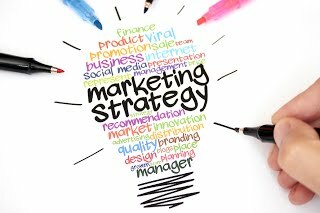 All that puts you miles ahead of most marketers, who lack a written strategy. With a 1-page content marketing strategy, you can keep all your content heading in the right direction. It aligns marketing activities to take your customers from curiosity to conversation to conversion. Boiling down your content marketing strategy to one page is real work. But in a world where the average American has an 8-second attention span, one-page plans work like magic to get and keep your executives’ and clients’ attention. We help you develop your content marketing strategy through a proven process that fully aligns company objectives with your marketing strategies. And we boil it all down to one page, so you gain a succinct strategy that keeps you on track day today. • Your target audience: what’s known about the customers’ buying process from search through purchase. • Demand generation: how you capture, qualify and handle leads. As a B2B marketing consultant, we help marketers as you succeed with inventive B2B content marketing. A marketing consultant with 30 years of experience in communications, marketing, and journalism, Crystal Clear Communications brings you deep expertise in B2B content marketing. For more information on how to succeed in B2B content marketing, read our blog on buyer personas. Here’s how to deliver a consistent marketing message to all your buyer personas.